Liam Payne and Naomi Campbell are said to be having a 'mind-blowing' time together after they were first pictured on an evening out earlier this week. 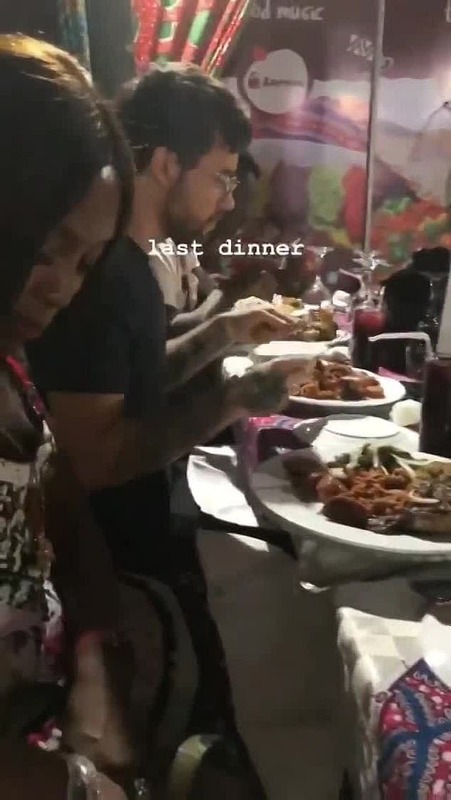 And now pictures have emerged of the the rumoured couple - who have a 23-year age gap - enjoying dinner together in Ghana, just days into 2019. The pop star, 25, and the supermodel, 48, appeared to be completely at ease as they sat side-by-side whilst tucking into a sumptuous meal. In the snaps, Naomi can be seen reaching down into her bag as Liam holds his cutlery in position, ready to devour his food. The easily recognisable stars appeared to be joined by friends at the low-key meal, which saw the Strip That Down singer looking unkempt, clad in a plain black tee and sporting grown-out facial hair. Meanwhile Naomi looked effortlessly chic in a low-cut black and white ensemble, with her brunette locks parted in the centre and styled into a sleek, straight hairdo. The pair were first publicly spotted with each other when they attended a concert at the O2, in London on January 28 — but rang in the New Year together, partying in Ghana. It is claimed Cheryl's ex is 'smitten' with Naomi after sparks reportedly started flying between the pair two months ago, according to The Sun. A source told the newspaper: 'Liam has been seeing Naomi for a while. He's mad on her. He seems head over heels. 'They are definitely an item and have been seeing a lot of each other. Liam thinks she's amazing and beautiful and has said their time together has been mind-blowing. MailOnline has approached representatives for Liam Payne and Naomi Campbell. Speculation about a romance has been rife ever since Liam and Naomi appeared to flirt on each other's public Instagram accounts. The supermodel showed off her new cropped hairdo in a sultry snap on social media, shared with 6.4million followers. Among her greatest admirers, Liam didn't mince his words as he told the model she was 'perfection' and he playfully teased 'don't give me those eyes'. it was Naomi who was the first to compliment the singer as she penned 'Beautiful Soul' on a shirtless snap of Liam. Their exchanges didn't go unnoticed by fans who were quick to comment on the unlikely pairing. 'What what?' while another added: 'WTH [what the hell] is going on?' One fan wrote, leading the troops. liam and Naomi rang in 2019 together when they partied until the early hours of the morning with a fireworks display, nightclub dancing and a beach stroll. 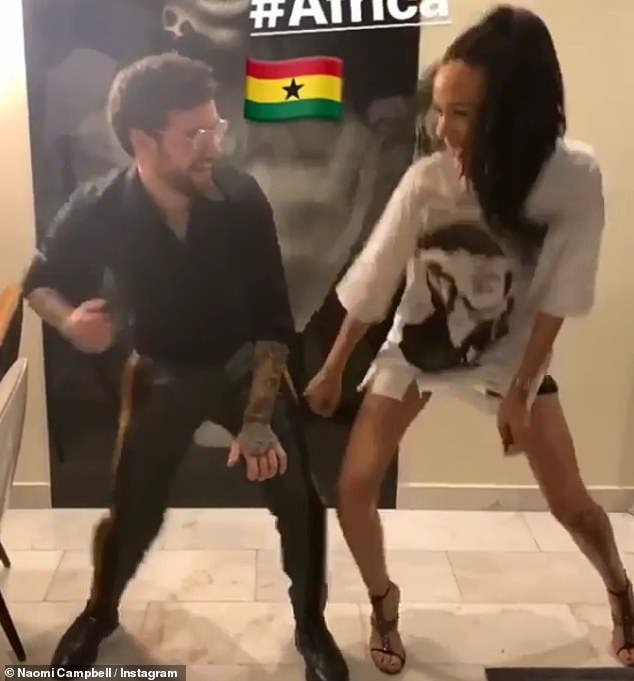 In a fun-filled Instagram video shared by Naomi, the Bedroom Floor hitmaker boogied with British-Nigerian actress Eku Edewor. And speculation was only heightened late last month, when Liam and Naomi were spotted attending Nigerian artist Davido's concert at London's O2. A fellow attendee snapped the pair leaving the event, with Naomi seemingly trying to go incognito in a pair or round shades. She wore a denim ensemble underneath a black trench and chatted to a fan as Liam trailed along behind her. Liam has yet to have an official girlfriend since his highly-publicised romance with The Greatest Dancer's Cheryl came to an end last July. The former flames, who raise their 22-month-old son Bear together, were an item for two-and-a-half years before they went their separate ways for good. Meanwhile, Naomi has been single since she split from Skepta in August last year after the exes graced the magazine cover of GQ together to publicise their love.